Strawberries, Madagascar vanilla beans, sugar, pistachios, fresh lemon juice. 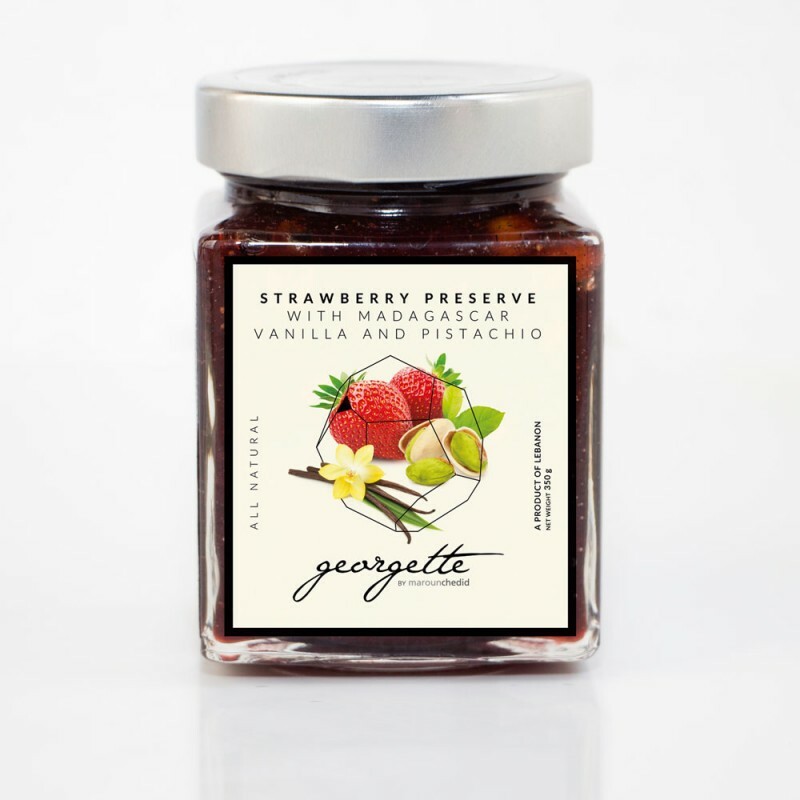 Enjoy the sweet richness of cooked strawberries, and revel in the subtle vanilla and pistachio flavors. The Chef’s special recipe defines the sweet taste of ripe strawberries, making this preserve perfect on toast, or when used in desserts.